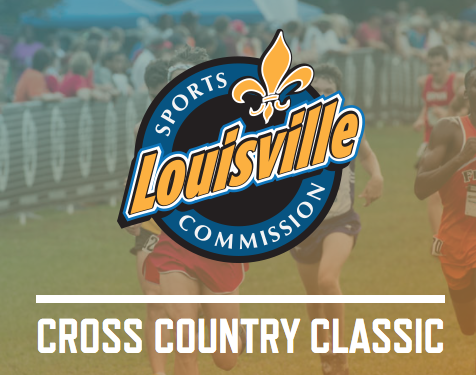 Louisville, KY- The Louisville Sports Commission (LSC) will host 142 colleges and universities from 30 states and Canada in the 16th Annual Louisville Cross Country Classic , which is tracking once again to be the largest college meet contested in the United States in 2017. The Classic, contested on Saturday September 30, will bring together some of the top college cross country programs in the nation, as almost 3,000 college athletes are expected to compete at E.P. Tom Sawyer State Park. The event will not only feature substantial quantity, but the overall quality of the competing teams and individual student-athletes will once again be strong this year. The field will be comprised of 42 men's teams and 41 women's teams that are currently ranked in the National Association of Intercollegiate Athletics (NAIA), National Collegiate Athletic Association (NCAA) Div- I Regional & National, NCAA Div. II National and NCAA Div. III National Cross Country Polls this season. The men's race showcases the 2016 NCAA National Champion Northern Arizona University Lumberjacks from Flagstaff. They are currently ranked #1 in the USTFCCCA NCAA D-I National Coaches Poll and will race Saturday as the favorite. Perennial national power University of Wisconsin, currently ranked #7 in the National Coaches Poll, Furman University (SC), currently ranked #12 National Coaches Poll, Conference USA power Middle Tennessee State currently ranked #19 in National Coaches Poll, Atlantic Coast Conference power Virginia Tech, currently ranked #24 in National Coaches Poll, the Broncos of Boise State University (ID), ranked #26 nationally and Big 10 power University of Illinois , ranked #27 nationally, should all be in contention for top three team finish and pick up NCAA post-season at-large selection points. Individually, the men's race has potential to be a clash of some of best college runners in the country. The lead pack should include Middle Tennessee's Jacob Choge (10,000m/5,000m PR's of 28:42.31 / 13:39.90 & 2016 Louisville Classic runner-up), University of Kentucky's Jacob Thomson (10,000m/5,000m PR's of 28:47.55 / 13:43.49), Illinois's Jon Davis (5,000m PR 13:49.55), Furman's Troy Reeder (10,000m PR 29:15.99) and Tanner Hinkle (3,000m Steeple PR 8:36.51) and the trio from Northern Arizona Tyler Day (5,000m PR 13:49.53), Matt Baxter (11th at 2016 NCAA Meet ) and Matthew Baxter (5,000m PR 13:56.95). The women's race should be an evenly matched contest between four nationally ranked teams- Boise State University (ID), currently ranked #15 in the National Coaches Poll, followed by Big 10 powers University of Wisconsin ranked #16 nationally and University of Minnesota, currently ranked #19 in the NCAA D-I National Coaches Poll and SEC supremacies Vanderbilt University (TN), currently ranked #29 in the NCAA D-I National Coaches Poll should all contend for this year's classic team champion. The women's individual race should be an evenly matched contest between some of the top collegiate runners in the United States and Canada. Expected to contend for top-five placing Saturday should be Boise State's Allie Ostrander (2017 NCAA Steeple Champ & 2015 NCAA XC runner-up w/ 3,000m steeple PR 9:41.31 & 5,000m PR 15:46.18), Furman's Allie Buchalski (5,000m PR 15:35.55), Wisconsin's Sarah Disanza (5,000m PR 15:48.51 & 2014 Louisville Classic XC champ), Eastern Kentucky University's Charlotte Imer (5,000m PR 15:59.32), Minnesota's Madeline Strandemo (Mile PR 4:38.88) and the speedster out of Samford University's Karisa Nelson (1,500m PR 4:10.91). Again this year, there will be very competitive high school and middle school races contested after the college event is completed. There will also be elementary school races contested at the park Friday starting at 5 pm. It is expected that just under young athletes from Kentucky, Missouri, Indiana, West Virginia, Tennessee, Alabama and Ohio high schools will be competing Saturday afternoon with the first race at 1:30 pm.